Some information about the new tier 9 swedish medium from the ST.
Standard pen is good at 234mm and the gold pen is also good at 263mm. DPM is on the low side among tier 9 mediums. Accurate: 0.34 dispersion, 2.11s aim time and WOW gun handling! Mobility is good: 21.11 specific power and 50 Km/hr top speed. Stats look quite bad. But it's ST, so i guess stats doesn't mean anything at this point yet. Frankly if looks hideous, though atleast better looking than the Progetto 65 and the Tier X Swedish medium (what with that giant box on the back) I'll give it that. I could possibly use the sideskirts on a few other tanks though, which is nice. And yeah, it looks fairly balanced right now. Turret armour is hit or miss depending on angle of impact. We just have different opinions of what a good tank looks like. That's exactly what my post mean! Edited by XxKuzkina_MatxX, 21 March 2019 - 11:16 PM. Tho it has the looks. I suspect if there are no ridgelines around, it will be a terrible tier 9 med if it lacks support or if it gets rushed even on a ridgeline. Tier 8 looks terrible even. So I'll gun for this and try my luck there. What is good about that? 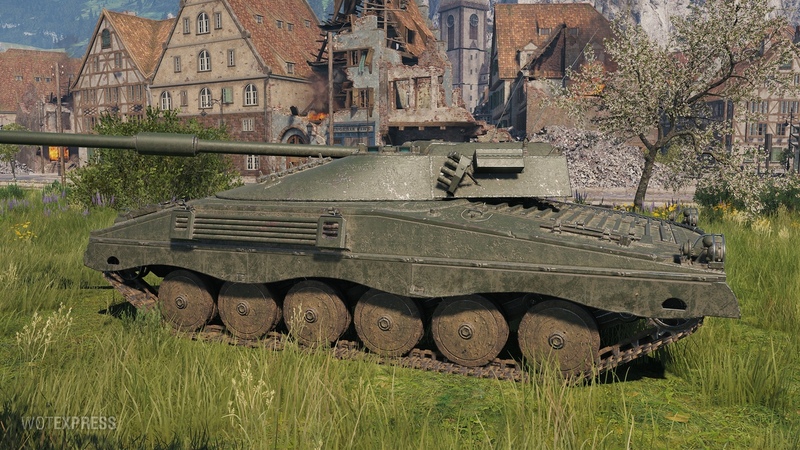 234mm is average at best, and 263mm is pretty bad for premium ammo when tanks like Leo PTA, Centurion 7/1 or Standard B get 268mm on their standard rounds. I think only the T54E1 has a worse premium penetration amongst T9 meds. It's pretty decent, but I'm not seeing any WOW factors. Patton is still king there. Yeah, somewhere between Patton and T-54. 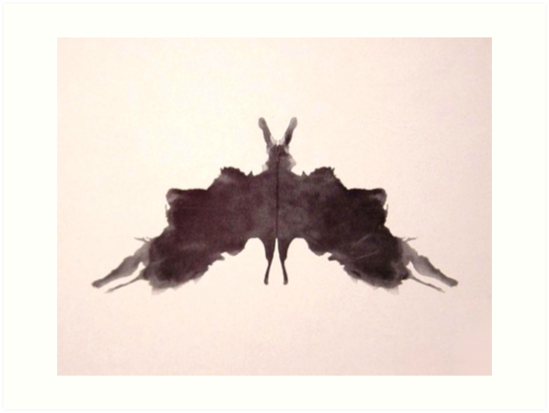 And if I interpret it correctly it will have pretty good camo but only mediocre viewrange. Still have to wait for the actual armor model though. Good compared to the Patton's 218mm, the E50's 220mm, the T54's 201/219mm or the T55A's 221mm. looks like we're playing two different games! Thing is it isn't a patton, it's a sneaky TD with very low profile and good gun depression or at least that's how those 3 tanks will be played. For that use, the gun handling is decent IMO! To be honest it doesn't look like anything special, plus the most stand out thing there is the camo which IIRC on those tank inspector previews is never correct. 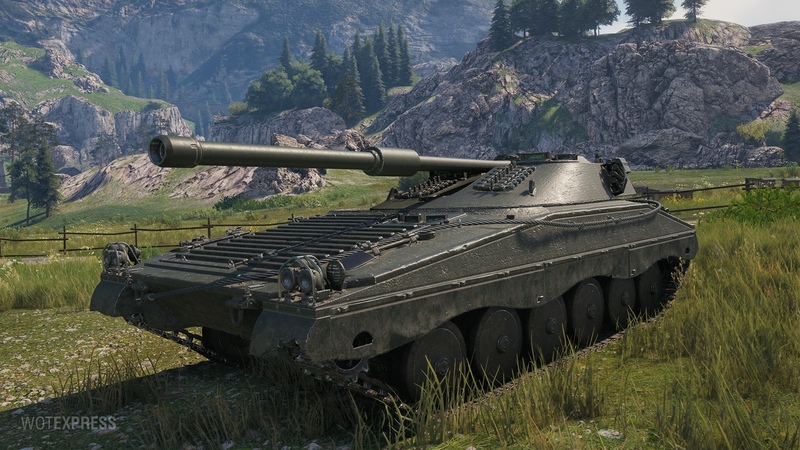 Though it should still have decent camo considering its about as low profile as the Strvs, but there is no way its 28% base, I doubt it'll be much higher than about 18-19% base. 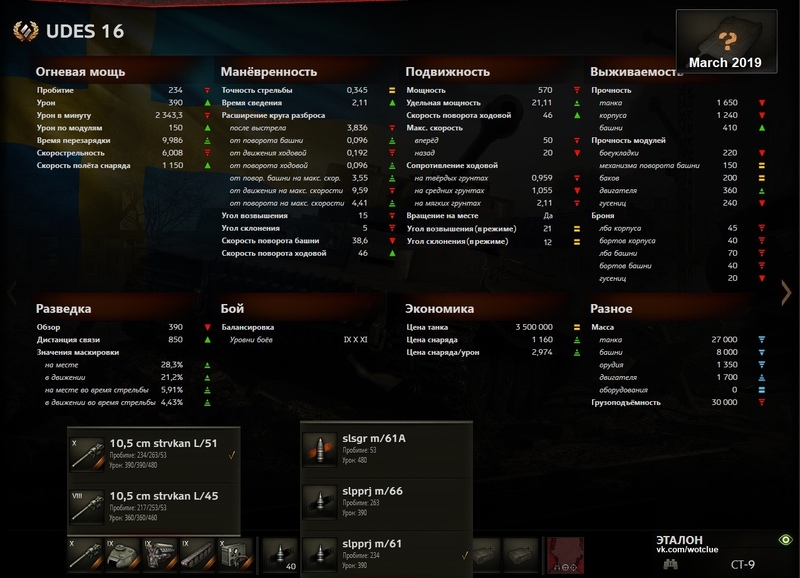 Pen is IMO poor for tier 9, Only Patton, E50 and T-54 IIRC have worst standard pen, but all have better premium rounds. Plus have more DPM and better gun handling. DPM is on the low side only marginally above like the Cent 7/1, must be one of the lowest in class. Hp/ton is good but ground resistances are not that great, neither is top speed, IIRC Skoda T50, Bat Chat AP, AMX 30 and Leo PTA all have better or similar HP/tons and have better top speeds aside Skoda. So aside potentially high camo, its got poor pen, poor DPM, average gun handling and average mobility. It really comes down to that gun depression and how well it bounces, if the turret/hull is pretty much auto-bounce and it can get up to -13 gun depression on ridges then it being poor to average in those other areas then it makes sense, it will be a very strong ridgeline warrior and an average med outside it. If it doesn't bounce well hull down then its going to be poor. Edited by tajj7, 22 March 2019 - 11:39 AM. Why is 264 pen bad? Because the only tanks limited by that at tier 9 (mediums ofc) are the E50 and patton, both of which have more going for them than this. Also i didnt know T54/T55 had AP. Colour me surprised there. And it's worse compared to AMX30, Cent 7/1, Leo PTA, Standard B, Skoda T50, 430-II, Wz-120 and Type 61, about on-par with the 430. So as I said, average at best overall. With rather crappy premium penetration (unlike T-54/T-55) and less than excellent accuracy (unlike E50) or great DPM+gunhandling (like Patton) on top. For that use, the gun handling is decent IMO! Yeah, which is exactly the word I used as well. 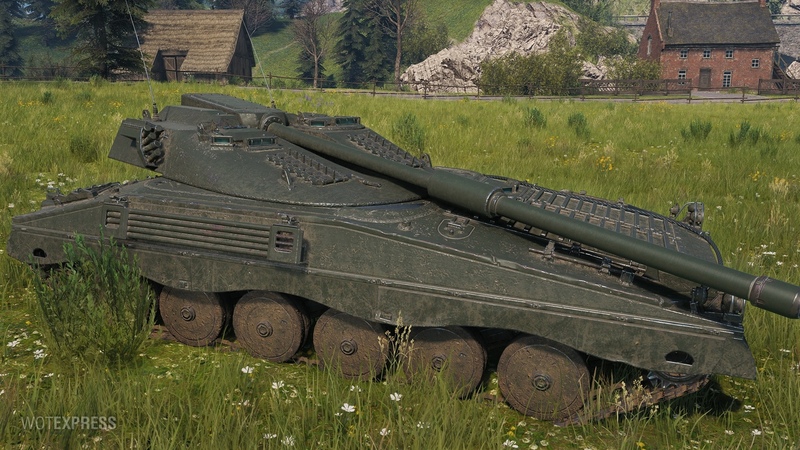 But for me "decent" is far away from "WOW" (Strv-103b gunhandling would be WOW). Overall, the gun seems to be ok, nothing great but also not really horrible, pretty similar to the 430. The armor model will make or break the tank. Edited by Geno1isme, 22 March 2019 - 12:06 PM. I think only the T54E1 has a worse premium penetration amongst T9 meds. If you can't make 234/263mm work that's up to you! Write your own topics in your own words and of course you have the right to disagree! I also remember the preliminary offerings having more alpha than the TD alternatives so... if they're just a slightly inferior gun handling, slightly less accurate version of the TD's but with more alpha, almost as much camo, same bouncy armor but with the massive gain of having a turret, then they'll make the TD's obsolete. You can't really compare the meds with the TDs. Esp. at T10 it's not "slightly" worse gun-handling+accuracy but a night+day difference, combined with a massive DPM and penetration difference on top. Also the meds will have good camo, but nowhere as close as the TDs as those can make great use of camo-nets. Of course the turret and dynamic siege mode will make the meds much more flexible. The only thing where the meds and TDs will be very similar is the armor layout relying on extreme angles auto-bouncing pretty much everything (meds maybe even more than the TDs). It is exactly what I said. Standard pen is average at most, premium pen is almost worst-in-class. Never said that. But it's simply not "good" by objective comparison. As said, it seems ok so far, but nothing to get hyped about. The only really unique aspect is probably the armor model in combination with the great gun-depression, which we have no details about yet. Edited by Geno1isme, 22 March 2019 - 12:25 PM. 264 is workable, albeit uncomfortable. 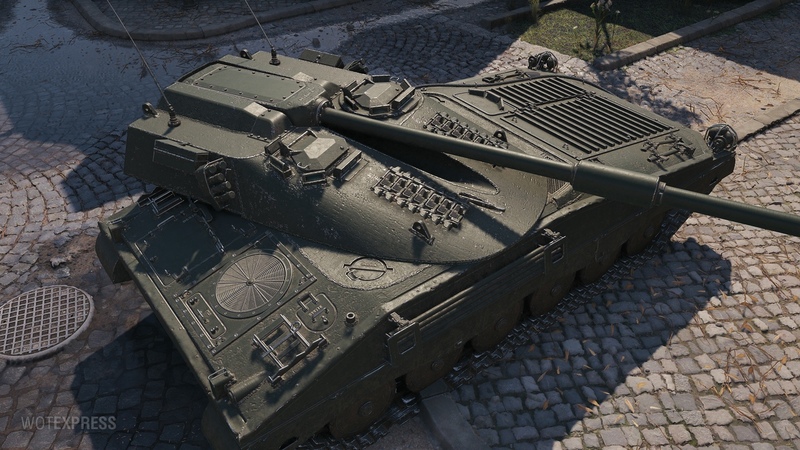 The E50 and 430 have armor. Patton has DPM+handling combo and is still out of meta because of the no accuracy+no pen combo. As mentioned earlier, this thing libes and dies by its armor profile, which is unfortunate. Its either going to be 103B nonsense camping where you pen by virtue of caliber/ammo type alone or trash. And the cutoff will be given by the overmatch threshold and the eff armor against heat. As said, it seems ok so far, but nothing to get hyped about. Then don't get hyped, it's that simple! 234/236mm pen is not the best but not the worst either and considering the tank role i think it got sufficient pen and helps prevent spamming gold when top or mid tier! I guess by meta you mean CWs? Edited by XxKuzkina_MatxX, 22 March 2019 - 01:03 PM. 234/236mm pen is not the best but not the worse either and considering the tank role i think it got sufficient pen and helps prevent spamming gold when top or mid tier! Aha, if i play this its gonna be E50 or patton all over again. Not going to bother with AP. Literally 0 point. I just hope they won't **** up the tier 10.